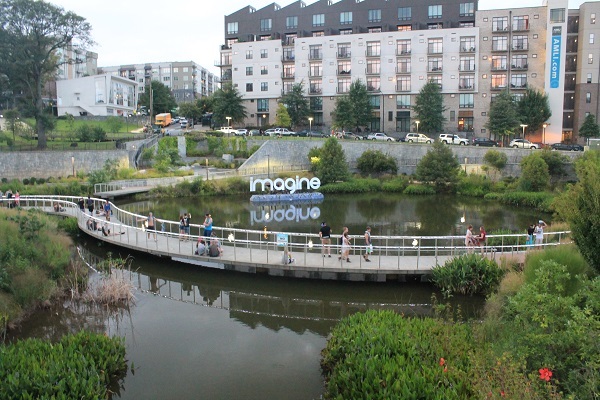 Imagine 2015 >> On a hot and humid last weekend in August, Imagine Music Festival took over The Masquerade and the park beside it in Atlanta, Georgia. This electronic music festival is like saying goodbye to summer with a variety of artists from around the world performing to music lovers. It had something for everyone to enjoy from veterans of EDM like The Crystal Method to newcomers and home town favorites from Atlanta. This is one of those moments at the end of summer that will be in memories fifty years from now. The vibe at this festival is fun and about enjoying life. Live in the moment and be respectful to everyone is what was running through the audience all weekend long. Saturday morning came and the travel to Masquerade was underway. Not a long trip, but still is exciting knowing all the way to the point of destination that great performances await for a day full of fun. Once inside the festival gates after getting checked in, the energy of all the other Imagine festival goers gets you even more excited for this day’s events and performers. The nice part about the Masquerade is that the staff there are always friendly and welcoming. If you ever have questions just ask them and they know the answer or they will find out the answer for you. Walking down into the first stage which is called Oceania, it has an aquatic theme, one can hear the first sounds of bass for the day. This hits you like a dragonball and it is wonderful. The first band on the stage this Saturday is RA , followed by Eddie Gold. Both were fantastic too! 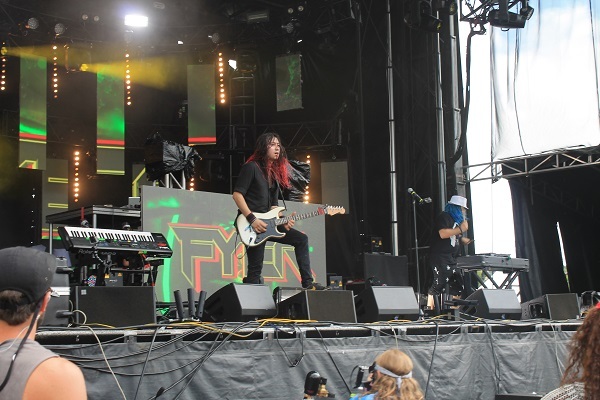 Oceania continued as the main stage to hear more of the best of EDM throughout the day. 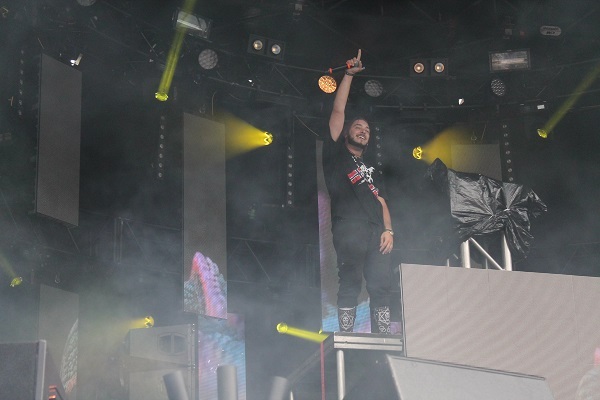 The performers also included Mantis, Leah Culver (formely known as DJ Ultra), Kayzo, Terravita, Brillz, Griz, Morgan Page, and The Glitch Mob. All performances were wonderful and the festival goers reactions to each one reflected it. It was truly a great day of music at this stage. 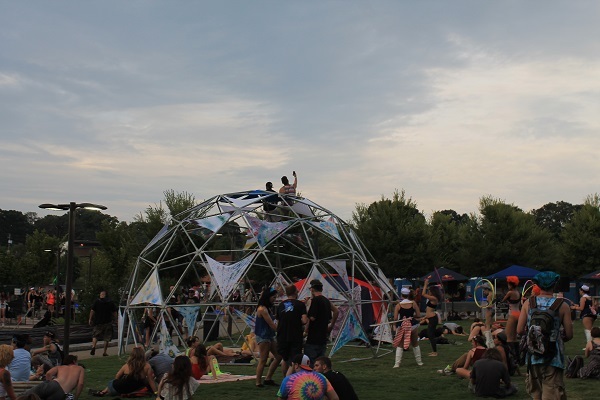 Amazonia was a stage that offered performances from DV-Us, Midnight Panda, Ployd, Illenium, Buku, Ill Gates X KJ Sawka, G Jones, Le Castle Vania, Shpongle (DJ), Tipper with Android Jones. Al artists put on performances that were great and crowd favorites. 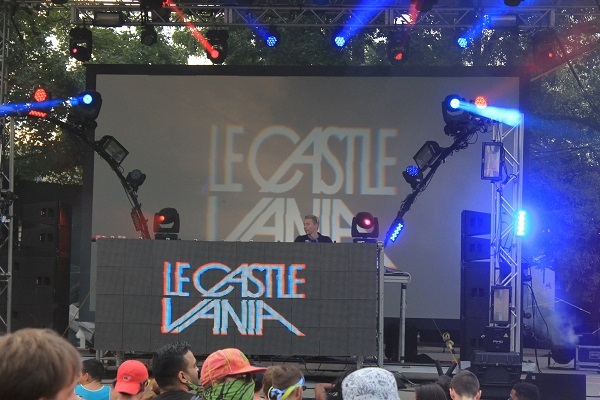 Le Castle Vania was on fire and his performance was only one of many ones to remember from Imagine 2015. 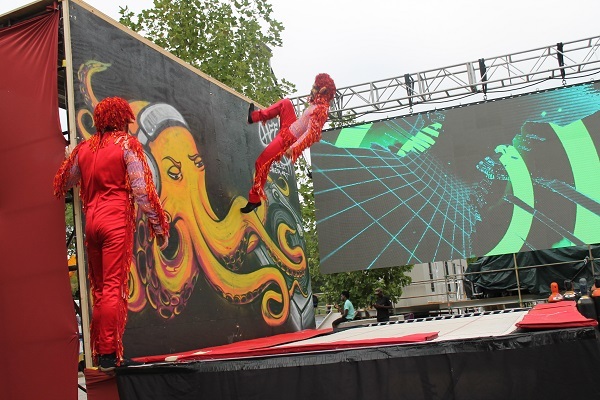 The Imaginarium stage was filled with great performances throughout the day on Saturday. 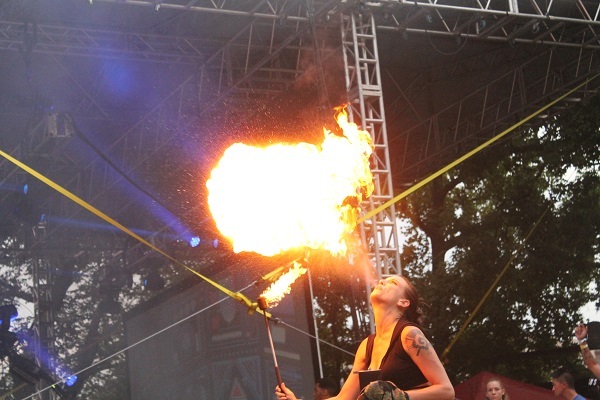 The performance list for the day included performances from Monster Mash, Mastermynd, Exit 9, False Panic, Kubz N’ Kootz, White Rhino, Ariel, Bells & Robes, Sylo, KDSML, Nextakin, and Black Sun Empire. The audience was in with all the energy and excitement that make memories for years to come. This stage was having a blast throughout the day. The nicest thing about the Masquerade is that it had offered up a chill room for Imagine festival goers that got too hot throughout the day. 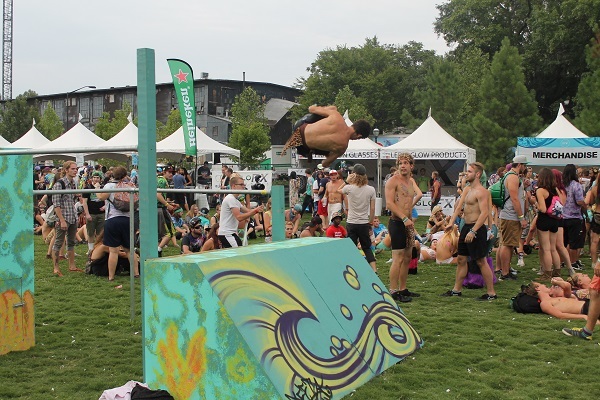 The purgatory stage inside the Masquerade offered dj’s spinning great tunes while festival goers can cool off. On Saturday it offered Deep Technicians and then JWob X Liminal. This was a great way to stay out of the heat of the Atlanta sun on Saturday afternoon. 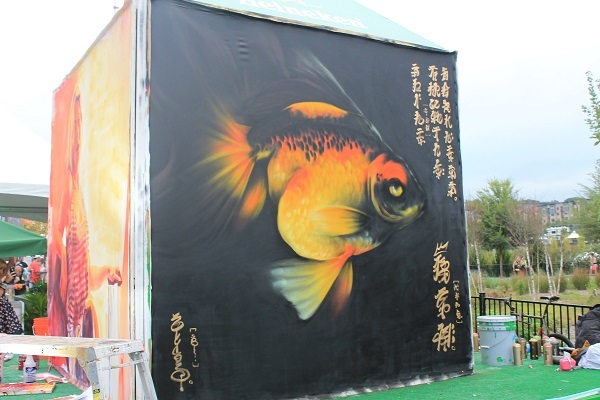 Along with these great performances on the stage from all the wonderful artists, there were also artists who were creating graffiti art. There were vendors and food trucks at the Imagine music festival. 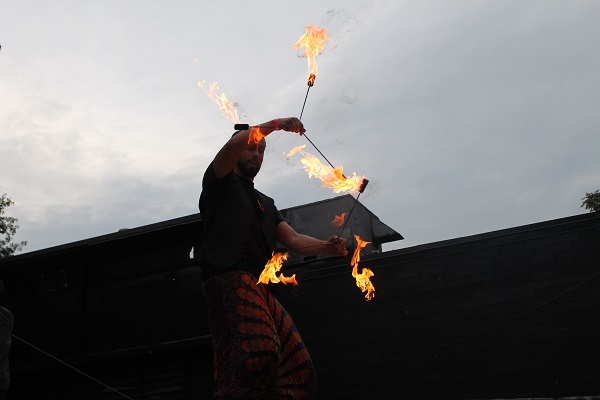 There were also some dancers and performance artists who were given the chance to perform on stage or on side stages along with the musical performers. This all gave the crowd a wow and helped in getting great responses as well. The energy at this festival was electrifying. Saturday had great performances throughout the day and into the night. The after party was held at Masquerade and it lasted until the early hours going into Sunday morning. This was the best way to end the great performances throughout the day on Saturday. Sunday came and excitement overflowed because of what performances lies ahead at all the stages. 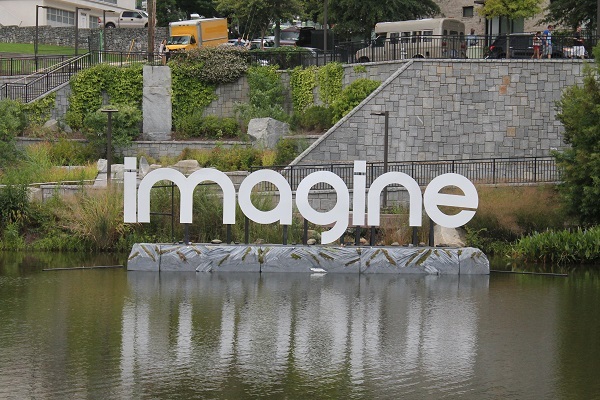 After Saturday, the energy was still lingering throughout the air of the Imagine festival. All the stages were slated with wonderful artists. Chill house for Sunday included 1200 Hustle, Mighty High Coup, Pudgy Moto, Luce Wayne, Murkel. This was great to get in from some of the looming grey clouds overhead throughout the day on Sunday. Luckily the rain held off for most all of the day, only a few sprinkles here and there. The hard rain came early morning so that was good. Imaginarium stage had a great line-up on Sunday. The day began with HodJ, Boo Munch, Byrne1, Stellar Shores, Riven, Party of One, Andy Bruh, Shuahandz, DJ Knowledge, Liquid Metal, Pyrite, and DJ SS. This stage was great Saturday and was great Sunday. The energy it had kept throughout the weekend was amazing. Amazonia stage kept up with making memeories for the crowd on Sunday with performances from Double Down, Skymatic, Daily Bread. This stage is also the pretty lights music showcase who were Elliot Lipp and Paul Basic. The day continued on this stage with Ape Drums, MartyParty, Papadosio, Crizzly, and Datsik. The performances were all fantastic and the audience loved every minute of it. Oceania stage on Sunday was the place to be for most of the Imagine festival goers. This stage had a giant line-up for the day. Stranger Candy kicked things off on Sunday with a wonderful performance, this was followed by Fyer. Fyer was magnaetic with roars from the crowd of approval and definite a performance to remember. The continued performances on this stage included Ying Yang Twins X Pyramid Scheme, KTherory Live, Felix Cartel, and 12th Planet. The moment a lot of the audience anticipated was finally upon them, Crystal Method, icons in EDM, took to the stage and proved why they are still relevant in this scene. 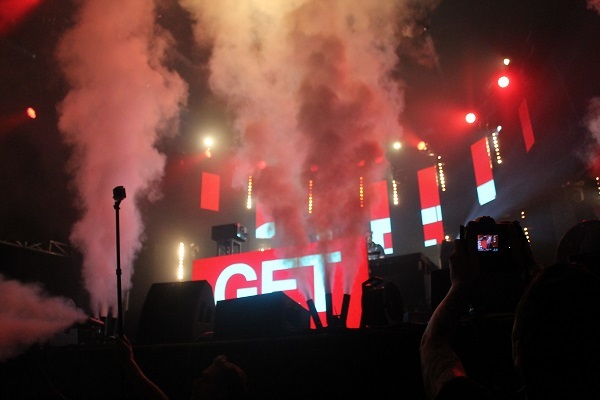 Crystal Method gave the crowd what it wanted and more. Crystal Method first played the Masquerade 20 years ago and they still showed why they rule and their love of music. Crystal Method gave a great shout out to Le Castle Vania during their set which was well received from the audience. The next performer for this stage was supposed to be Lil Jon, a DJ set, but cancelled last minute. This lead into the DJ set from Chromeo. The crowd responded well to Chromeo. 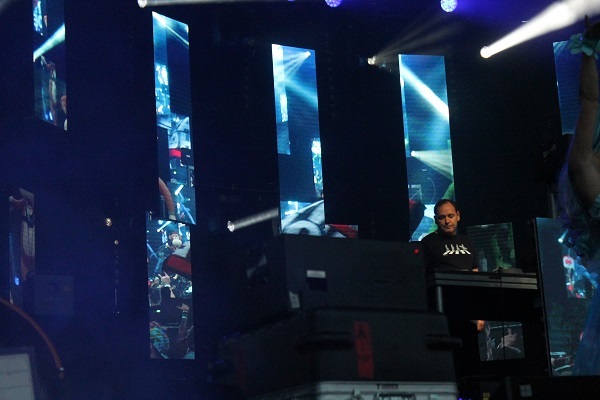 Dada Life closed out the 2015 Imagine music festival. Dada Life is a favorite for all fans and put on a great performance. It is always sad in a way for the month of August to end, so many summer memories are made in three months. 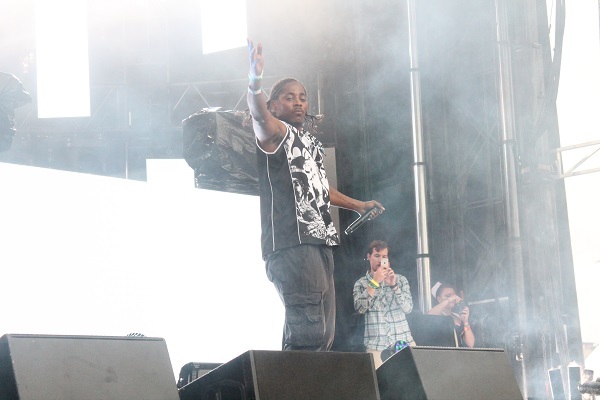 The Imagine music festival gave great performances and a way to end the month on a high note. The coming seasons will have their own memories made but as for this moment on the last weekend in August wonderful energy and memories were given to a great audience full of music festival goers. This is made even more exciting by discovering artists that many in the crowd never heard of and many who got to see the performances of their favorites. Til next time, party on good people! 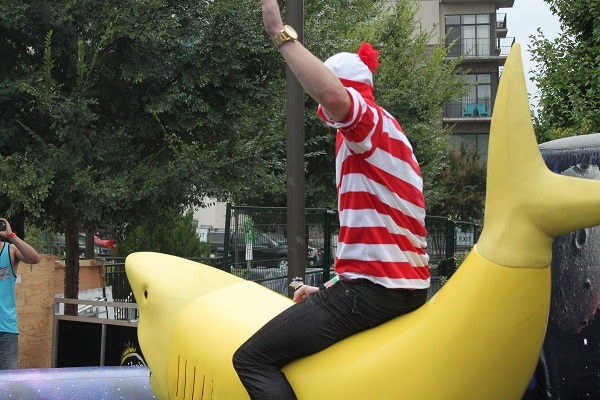 This entry was posted in festival, music, shows and tagged 1200 hustle, 12th planet, android jones, andy bruh, ape drums, ariel, atlanta, bells and robes, black sun empire, boo munch, brillz, brynel, buku, chromeo, crizzly, dada life, daily bread, datsik, deep technicians, dj knowledge, dj ss, dj ultra, double down, dv-us, edm, elliot lipp, exit 9, false panic, felix cartel, fyer, g jones, glitch mob, griz, hodj, ill gates, illenium, imagine, imagine music festival, jwob, kayzo, kdsml, kj sawka, ktherory live, kubz n kootz, le castle vania, leah culver, lil jon, liminal, liquid metal, luce wayne, mantis, marty party, masquerade, mastermynd, midnight panda, mighty high coup, monster mash, morgan page, murkel, nextakin, oceania, papadosio, party of one, paul basic, ployd, pudgy moto, pyramid scheme, pyrite, riven, shpongle, shuahandz, skymatic, stellar shores, stranger candy, sylo, terravita, the crystal method, tipper, white rhino, ying yang twins. Bookmark the permalink.